We're sorry, we are unable to provide free booking and reservation services for this facility. See one of our preferred facilities below. Is this your facility? Claim your listing! SelfStorage.com is the one-stop shop for self-storage, helping you find the best prices on storage units near you. We partner with storage facilities across the U.S. to list more than 40,000 locations—the most of any storage website. By using our advanced filtering and search tools, you can view and compare storage options close to you without the hassle of calling around for prices. Easily sort through self-storage amenities like climate control and 24-hour access as well as different storage options for your car, boat or RV. Reserve your unit for FREE in a matter of minutes, whether online or by phone. Looking for self-storage units in Mt Pleasant? 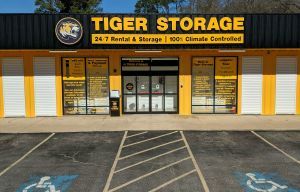 SelfStorage.com has 2 storage facilities within 15 miles.